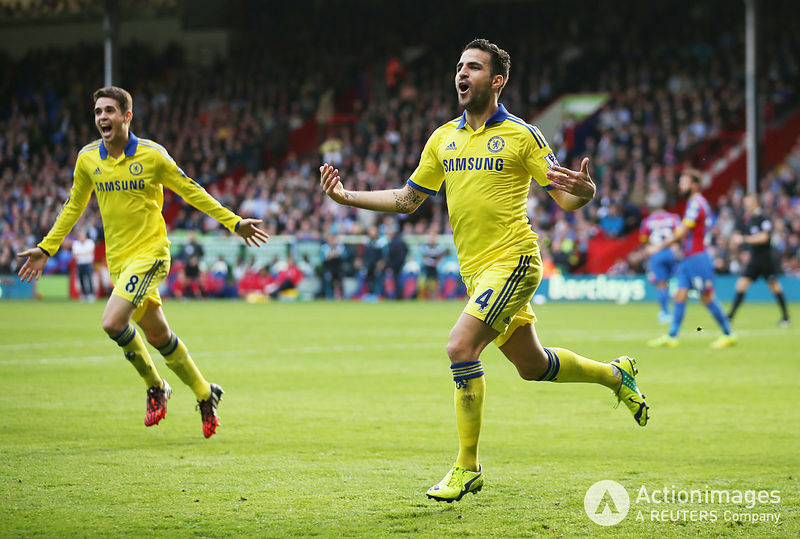 Football - Crystal Palace v Chelsea - Barclays Premier League - Selhurst Park - 18/10/14.Cesc Fabregas celebrates scoring the second goal for Chelsea.Mandatory Credit: Action Images / Steven Paston.Livepic.EDITORIAL USE ONLY. No use with unauthorized audio, video, data, fixture lists, club/league logos or "live" services. Online in-match use limited to 45 images, no video emulation. No use in betting, games or single club/league/player publications. Please contact your account representative for further details.